The medical building at the Baldwin Park Animal Shelter can get spooky enough without phantom limbs reaching out to you. 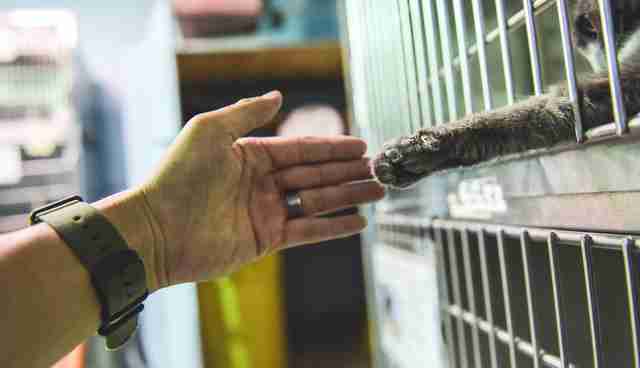 Not many members of the public see this part of the busy California shelter, where animals sit in stacked kennels, awaiting checkups or treatment. "It's a separate building that most of the public doesn't really know about," John Hwang tells The Dodo. "It's kind of in the back and there's no obvious entry to the building. Nobody really goes in there." Hwang, a photographer who often visits the shelter to take pictures of its residents, was there last week to see a a sick dog. He was hoping his pictures might help the dog find a forever home. But someone else at the shelter snatched his attention. Literally. While half-crouched near the stacked kennels, Hwang felt a ghostly brush against his hair. "I felt this little something," he recalls. "Like a little paw, kind of swiping my hair. I was like, 'What the ... ' "I looked up and I see this paw completely stretched out toward me. And she keeps on trying to touch me. She's stretching her paw out as far out as she could." Hwang's first thought? "Are you serious, cat?" But the cat, whose name is Meow Meow, wasn't giving up easily. 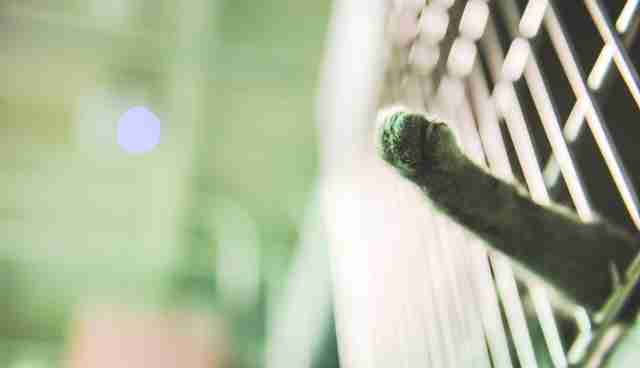 "She kept sticking her paw out to to say hi. And I thought, 'OK, maybe I'm here for you.' I was like, 'OK you deserve a picture.'" And Meow Meow was certainly ready for her closeup. "She's just really friendly," Hwang adds. "She'd just lay there and look at me." 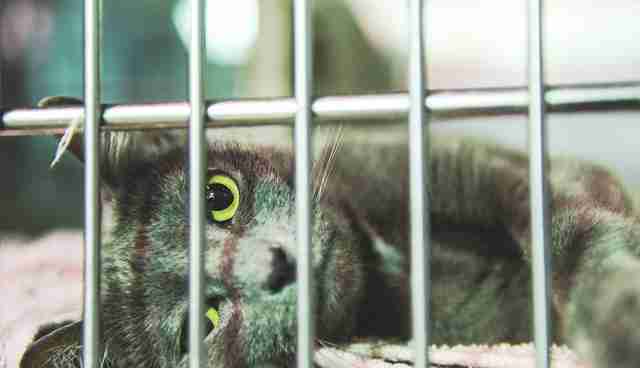 Maybe Meow Meow knew the competition among animals for a forever home is intense at the bustling Baldwin Park shelter. You do whatever it takes to stand out - and seize the moment. Or maybe the 2-year-old cat, in the cold confines of her kennel, just needed to make a connection. 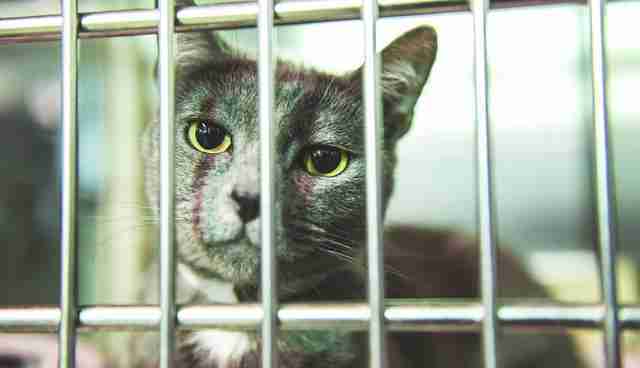 She was, after all, dropped off at the shelter by her owner. She knows what it's like to be loved. "She definitely had someone in her life," Hwang says. "She wasn't a stray. I thought, 'This cat has probably been with people her whole life. So to be in a kennel probably makes her sad.'" And for that tenderest of moments, Hwang was there for her - reminding Meow Meow of what's it's like to know the warmth of human contact. But, with a wife who's allergic to cats, Hwang finally had to say goodbye to Meow Meow. Now, she's waiting for someone else to come along and say hello - to a brand-new life. 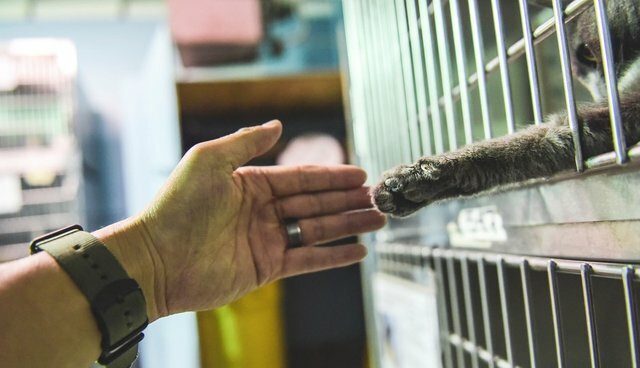 One thing that's for certain: Once Meow Meow gets her paws into a forever home, she will never let go.